Crystal Palace Star Wilfred Zaha has reportedly informed the club of his desire to move to Chelsea this summer according to several news sources. According to the Metro Zaha is keen on an exit from Crystal Place this summer as he aims to take the next step in his career. Tottenham were initially thought to be favourites in signing the Ivory Coast international but Crystal palace asking price has dissuaded the North London club. it is reported that Palace are demanding £75 million to release the 25-year-old winger. Tottenham have a strict transfer policy and Chairman Daniel Levy is not willing to pay such premium price for the forward despite manager Pochettino interest in the player. Chelsea were thought to be monitoring Zaha’s situation at Palace but have joined the fray after Tottenham withdrawal from negotiations. Chelsea have contacted Zaha’s agent and Crystal Palace over a transfer for the player as the transfer deadline looms. Palace manager Roy Hodgson recently told TalkSports that the player is not for sale. 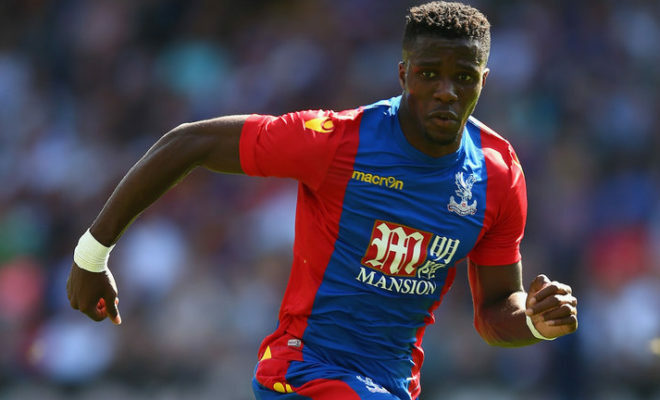 According to Hodgson, he had spoken to Zaha who assured him of his desire to stay a the club this season. Zaha is viewed as an ideal replacement for United bound Willian and is a proven performer in the EPL for Crystal Palace since his return from an ill-fated move to United in 2015. Chelsea have made only one signing this summer in Italian midfielder Jorginho from Napoli in a deal worth £57 million.